Sixth grade was rough for me. I was 5’4” and clumsy, I read a lot of Heinlein, and I was much more comfortable around adults than my age peers. I remember spending a lot of time wishing that there was some way that I could really impress the other kids with the deep thoughts that I was thinking. But, alas, I never managed to do that. Fast forward to a couple of weeks ago. My son is now in sixth grade. Thankfully, he’s much better adjusted than I was and at least as smart. But he also longs for ways to demonstrate to his peers the awesomeness of the thoughts he thinks. He arrived home one day and announced that he was to be “scientist of the week” in his science class. He was supposed to do a science experiment and report on it in class. He and I thought for awhile and hatched a plan. On that Tuesday, the skies were clear and visibility was unlimited. I met him at the doors of his school as classes let out in the afternoon. I wore my flight suit. (Because, of course, it’s always good for your classmates to hear that your dad met you at the door wearing a flight suit.) 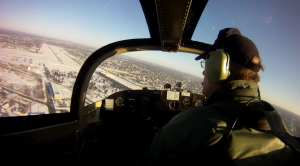 We drove to the airport, preflighted a TG-7A motorglider, loaded our scientific instruments and implements of destruction into the aircraft, and launched for a piece of airspace out between Detroit City Airport (KDET) and Selfridge ANGB (KMTC). 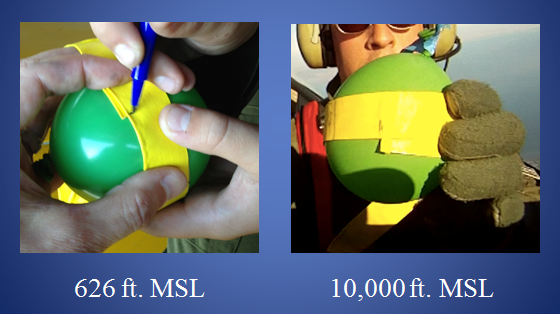 The idea was to take two balloons to 10,000 ft. MSL. 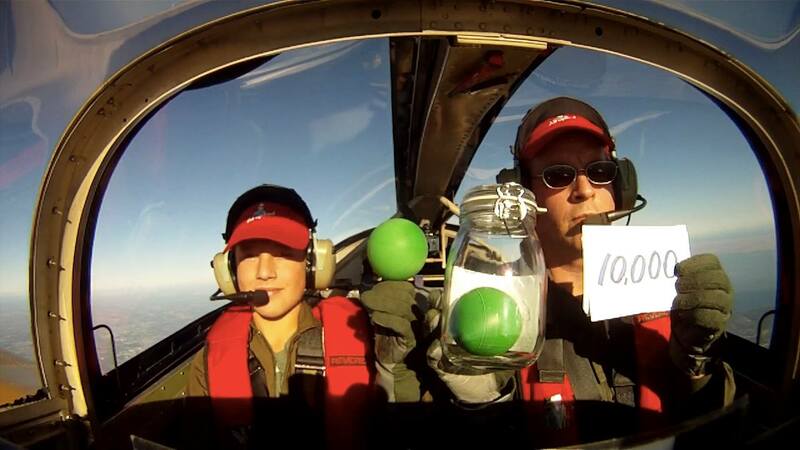 One out in the unpressurized cockpit and one sealed in a mason jar as a control. We’d observe the experimental balloon every 1,000 feet or so and then measure it 10,000 feet. We could also visually compare it to the control balloon in the jar. I’m working on my CFI in gliders and, if I have someone else in the aircraft (other than when I’m flying formation), I take the instructor seat on the left and the other person takes the primary pilot seat on the right. (Air Force doctrine calls for the stick to be in the right hand and the power in the left and, because there’s only one throttle and it’s in the center, the PIC sits on the right side in the TG-7A.) This means that I can let my son do most of the flying from right after takeoff until just before landing. 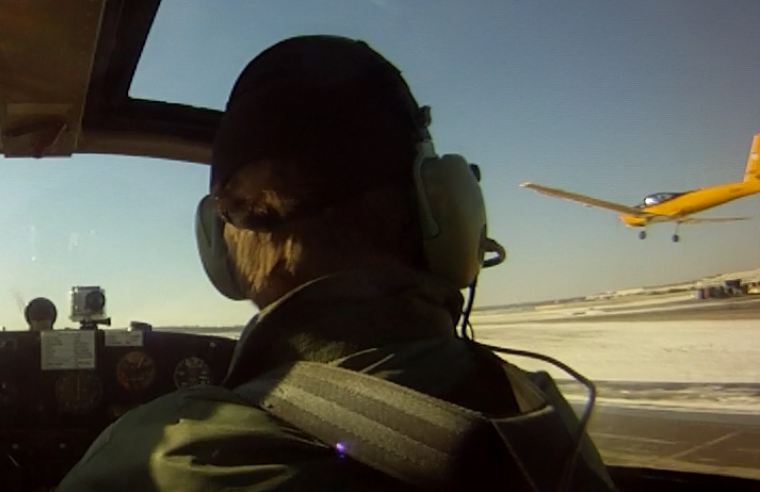 I get practice flying from the left seat while also honing my instructor skills while he flies. I gave him the controls just after rotation and we flew north of the field and began to climb. 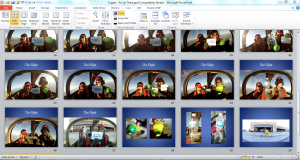 He circled up and I held up the balloon(s) for the camera, along with note cards with the altitudes on them. At 10,000 MSL, I did the measurement, and then we pulled the throttle and circled back down and landed. The experimental balloon didn’t grow as much as we thought it would. We actually worried about that. There was no apparent difference between the experimental and control balloons if you just eyeballed them. But, when we measured, we found that the circumference did expand from 25.5 cm to 29 cm. Assuming that the balloon is spherical (close enough), that’s a 41% growth in volume. After (not before!) 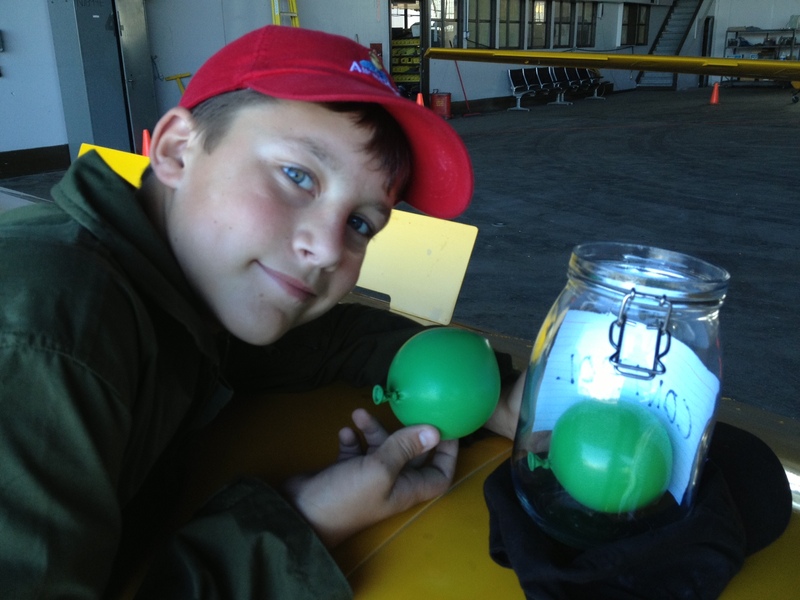 doing the calculations, we compared our results to the actual difference in atmospheric pressure for a standard atmosphere and found that the balloon’s expansion was within 2% of the 43% drop in atmospheric pressure in a standard atmosphere. We did a PowerPoint presentation summarizing the experiment and he delivered it for the class on Friday. It went over extremely well. The teacher even called in the other science teacher to watch once the first slide with an aircraft on it popped up and made it apparent that the presentation was going to be special. (b) Aviation captures imaginations. The presentation made a huge impression in the class. It held the class’s attention and even drew in the other teacher. Every kid in the room understood the results. (c) You can become a legend at your school if you present photographic evidence that, at the age of 11, you flew a TG-7A nearly two miles high and back. 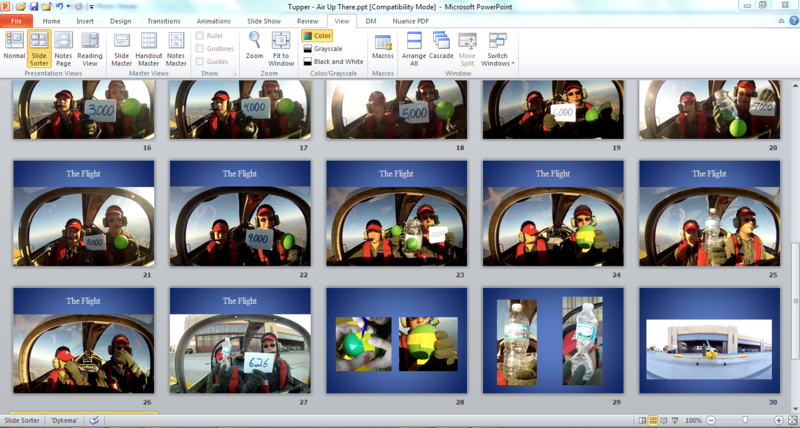 FOD and I will surely come up with additional excuses to incorporate aviation into his homework. And, in the meantime, we’re spending lots of time flying for flying’s sake. It’s nice having 100 lbs of willing student in the right seat so that I can sit left seat and practice my instructor thing for my CFI certificate. Team Tuskegee has begun to ramp up its training. Element takeoffs and landings yesterday deep in the Bravo. Echelon. Tail chase. Overhead break back at Detroit City (KDET). It’s still less than a year since I first flew a TG-7A. Last march, it was all about giggles and having fun. It’s still a lot of fun. But the standard is different this time. This is the first pre-season when I’m actively working with an airshow standard in mind. There’s nothing whatsoever wring with with working to PTS or working up to competent $100 hamburger flying. Train for your mission and for safe outcomes and I’m with you. As for me, though, every time I take off, land or maneuver, I see a crowd line and 10,000-plus people out of the corner of my eye and I hear Ralph Royce in my headset. It’s not long now before I won’t just be imagining that crowd (or Ralph). It’ll be real. And, providing that we nail down out FAST cards and get some additional training done in time, the Tuskegee demo will be even more complex. Think landing at OSH is intimidating? It is. Or so I’ve heard. But what if everyone near the flightline at OSH was actually watching you instead of buying stuff and talking and not paying attention to arrivals? And what if they had all had cameras? And what if there was a guy on the PA system telling them who you are and where you live? Suddenly, even the simple act of landing an aircraft ought to become pucker-palooza. That’s what it is to fly an air show. But with enough of the right kind of training, it’s no more than you should reasonably expect of yourself. The airshow guys are fond of saying: “Perfection is expected. Excellence will be accepted.” They mean it. So you go out on cold February mornings, brief the flight exhaustively, fly it with everything you have, then pick it apart back at the hangar. I wouldn’t have it any other way. We’re working hard, bundled up with extra socks and thermal undies under our flight suits. Because each of us imagines that crowd line in the snowy fields near the flight line. And we imagine you in that crowd. Soon, the fields will be green, the barrels and stakes will go up, and you’ll actually be in that field. We’re training hard now because we know what it is to be in that crowd and we’re very conscious of that part of your dreams that you vest in us by coming to see us fly. And every single one of us can barely believe that we get to do this. It’s been a big, big weekend in Airspeed’s world. It’s going to take a while to write and record the episode that covers it, but that’s because I need to take some time to make the episode as epic as the weekend was. Long story short, I took things to a new level this weekend. 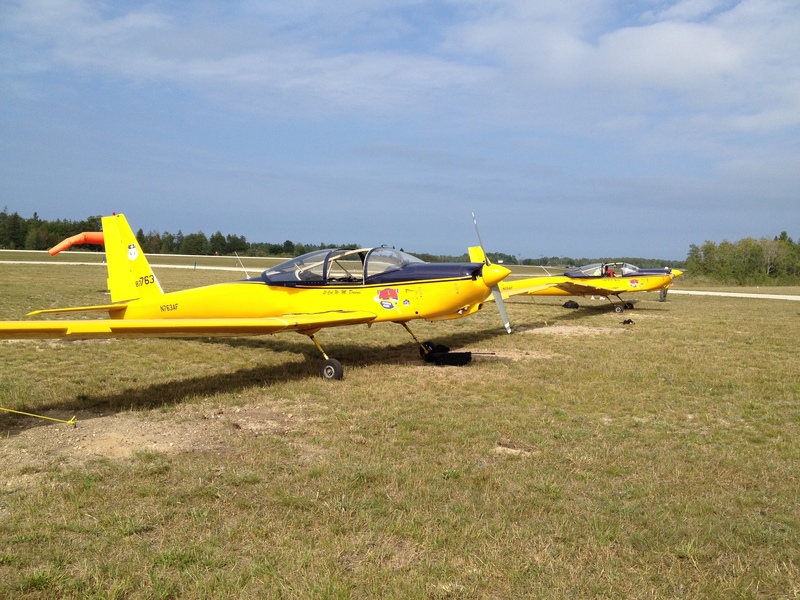 On Friday, I climbed into a TG-7A motorglider, flew to Rogers City, Michigan (KPZQ) in a two-ship formation, flew in my very first airshow as a performer, and came back in a three-ship formation. I first started covering airshows from the fence along the crowd line seven years ago. Over time, I’ve worked my way onto the performer area, then inside the box on the hot ramp, then out to show center with the pyro guys. The only place that I had not been was up in the actual box in front of the crowd. I had no idea in March of this year that I’d be flying motorgliders. Or that I’d become reasonably good at it. Or that I’d upgrade my certificate to commercial pilot in the process. Or that I’d find myself spending time in formation with up to two other aircraft. Or that, on Saturday, I’d be in that last frontier of the airshow fan: Actually in the box in an aircraft flying a demo for the crowd down below. It’s been an epic weekend by any standard. This is way, way beyond any expectation that I might have harbored just a few months ago. I still have a lot of work to do. 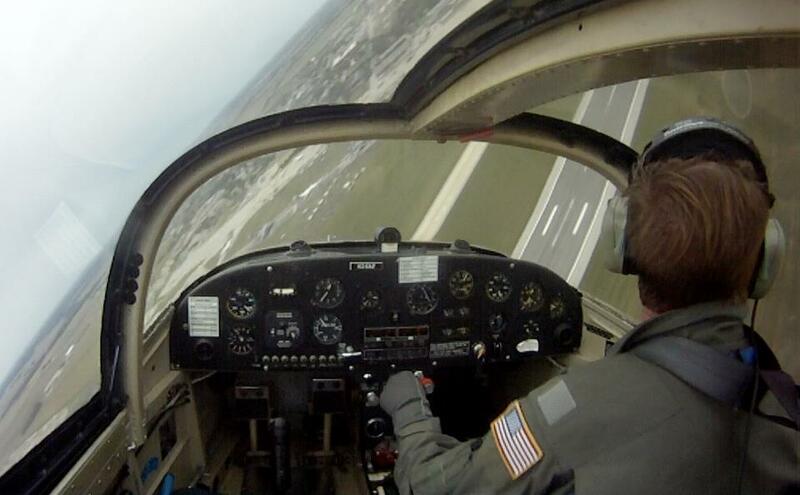 I need to get a lot tighter and a lot more precise in my formation flying. I need to develop even better situational awareness for those shows where the box isn’t over water with a definite shoreline to use as a reference. 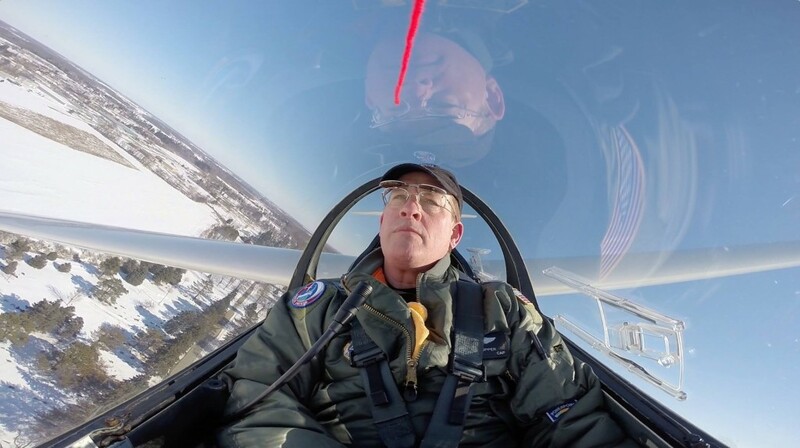 But I’m part of a great team with really cool aircraft and – even if only in a very minor way – I’m now a part of that rarified community that flies aircraft in the box in front of airshow crowds. My weekend. Your weekend. And a lot of my other weekends. You know the drill. These are the show notes to an audio episode. You can listen to the show audio by clicking here: http://traffic.libsyn.com/airspeed/AirspeedTG7A01.mp3. Better yet, subscribe to Airspeed through iTunes or your other favorite podcatcher. It’s all free! If there’s a 350-hour private pilot out there who has a more diverse logbook than I do, my hat’s off to him or her. I have everything from Cessna 152s to a DC-3 to the mighty F-16D in my logbook and my certificate reads ASEL, AMEL, and ASES, among other things. I’ve flown for everything from lunch to competition aerobatics. The key for me is experiencing the broadest possible swath of what aviation offers. 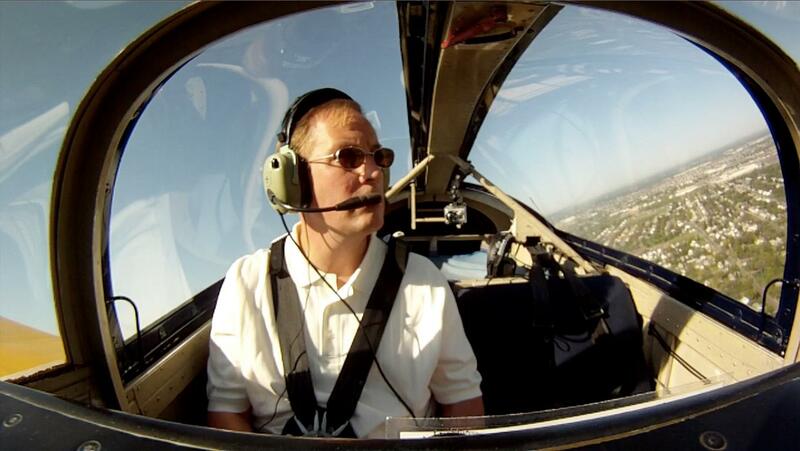 Coming up on three years ago, I got a ride with Mark Grant in a Schweizer SGM 2-37 motor glider. The aircraft is one of three operated by the Tuskegee Airmen Glider Club, headquartered at Detroit City Airport. It’s a beautiful yellow longwing bird and the ride was a lot of fun. I also met John Harte that weekend, who was flying one of the other club motor gliders and I got good footage of him in a gaggle climb. John and I have since begun to share an aerobatic instructor and we both fly the Acro Camp Pitts at Berz Aviation at Ray Community Airport.